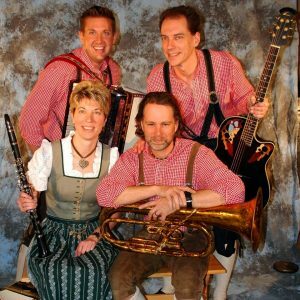 ACCA Shrine Sauerkraut Band – This renowned local band will play for you typical Bavarian and American dance music on Friday and Saturday evening. 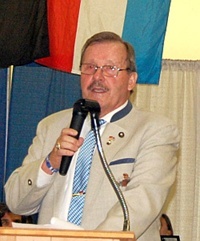 Club members and guests participate in the March. During the Program the guests are introduced, the National Anthems are played, and the Queen is crowned. 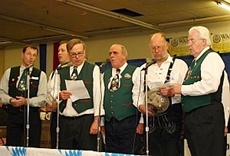 Gesangverein Virginia – The Männer Chor will be singing the National Anthems of the United States and Germany. 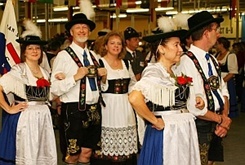 SGTEV Hirschjäger Bavarian Dancers – The Hirschjäger Dancers (click here to see their informal website) will entertain you with typical Bavarian Folk Dances. 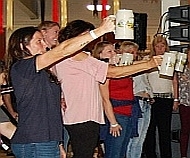 There will be a men’s and women’s Beer Stein Hoisting contest. 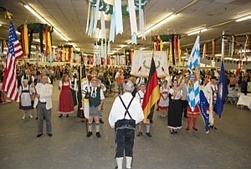 Come and participate or just watch the guys and girls Beer Stein Hoisting Contest. Don’t miss the fun, marvel at the strength and stamina of the contestants. The winner of each contest will receive a very special three liter beer stein. 7:00 – 9:00 PM on Friday, and 4:00 – 9:00 PM on Saturday. 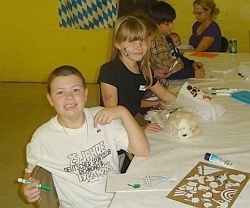 Welcome, Crafts, Face Painting, and other table games. (Out door games when the weather is good).